Who? What? Where? We’re parked in my car in a layby several miles up Glen Feshie and I can only see a snowy expanse on the opposite bank of the river, broken by a strip of forest plantation. “Really?” I catapult out the other side as he rummages in the boot for his telescope and sets up. 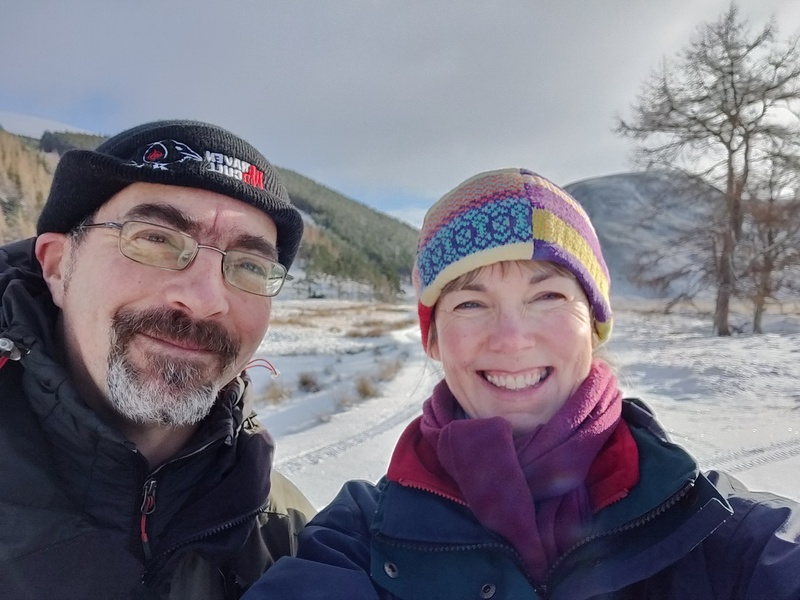 Duncan is a friend and experienced guide who has agreed to take me up this legendary glen in the Cairngorms, where he knows all the secret hideaways and passages of the local wildlife. It’s early in the year and he didn’t promise black grouse, an endangered species on the conservation Red List, but lo! through my own ‘bins’, there are the grouse! I whoop and cheer at my first sighting and then graduate to the even better view through his ‘scope. There are five birds: black beasts about the size of a chicken with small beaks, red ‘eyebrows’ and splayed feathers, all strutting around, advancing on each other, backing off and striding in again, occasionally pecking beak to beak. 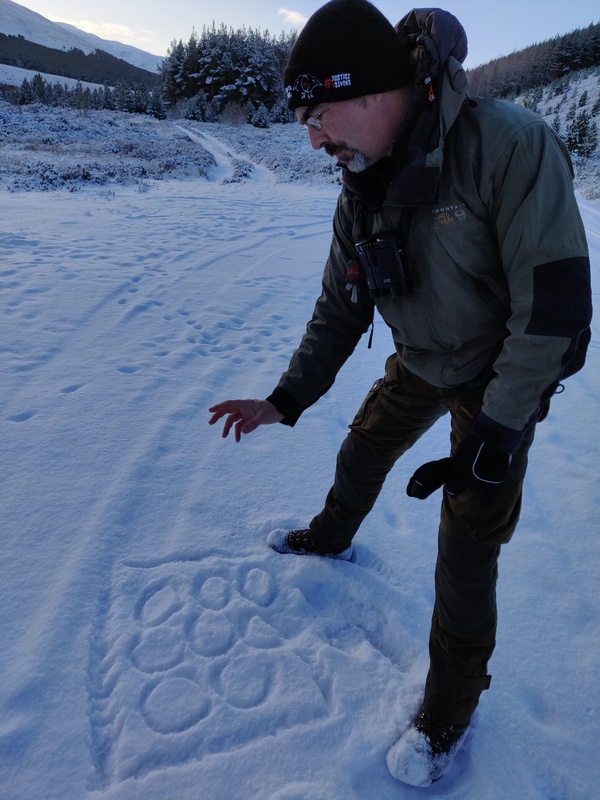 It is the lek, an elaborate performance that Duncan explains to me with a diagram in the snow. These are all males jostling for top spot in the mating hierarchy: their lekking court is divided into a grid of invisible circles which they each occupy, all trying to oust the dominant male and take centre stage. They’re just warming up now, but by April, when all the females are watching closely from surrounding trees, the lek becomes ferocious – full-on gladiatorial combat from which not all will survive. At this point, the birds just look comical, particularly since they appear to have sat down for too long and got lumps of snow stuck on their bums. I laughingly point this out to Duncan, who is polite enough not to laugh at me, but to point out that these white wads are in fact their tail feathers and all part of the display. The joke’s on me. I can’t tell the back end of a grouse from a snowball. Readers, your diarist is a simpleton. But it’s why I’m doing this. I’ve lived in this area for over twelve years and am ashamed that I don’t know this stuff; the opportunity of being Writer in Residence for the Cairngorms National Park gives me the perfect excuse to rectify the situation. Already conscious of my ignorance, I’m painfully aware that my journey of discovery will only reveal the vast extent of it. The more you know, the more you know you don’t know. But the only way to proceed is with the honesty and enthusiasm of a child; it’s the only way to learn anything. And there’s certainly no point trying to fake it around Duncan. As we walk, he points out the tracks of vole, stoat, mountain hare and roe deer. I’m sure I have seen them all before, but couldn’t identify them with certainty. And how often have I stopped to wonder which animal passed this way, or why it suddenly took off or disappeared? We hear the yearning cry of buzzard and the croak of raven. Duncan spots the corvid high on a Scots pine and, as we watch, its mate flies down and their beaks meet. ‘Allopreening’ it’s called, the ravens’ mutual grooming that cements the bond. Higher up the glen we keep a look-out for my dream sighting. “There are two types of eagle worker,” Duncan says, quoting naturalist Leslie Brown, “leggers and arsers.” We’re going to be arsers for a while and I’m quite happy with that, as it involves perching on an abandoned trailer, drinking Earl Grey tea and eating the last of my son’s Christmas cake as we wait. It’s the end of January and -6 degrees, but the sun is making everything shine and the sky is a ringing, singing blue. Beside us, the Feshie runs wide and shallow over its path of rocks, the banks are thick with snow, the slopes dotted with dark trees. In this era of instant gratification, it is good to wait; to be an arser. In the waiting, we talk. Duncan shares from his rich store of knowledge about the environment and the creatures of the Park; and we talk about our lives: the fragile environments of family, the endangered creatures we were and are becoming, the spiritual experience of time in nature. I’ve known Duncan for years, since he was a Countryside Ranger running an eagle project at my sons’ primary school, but I know we would not have had this conversation if we weren’t spending a day out here, walking and waiting. So too of the natural world. 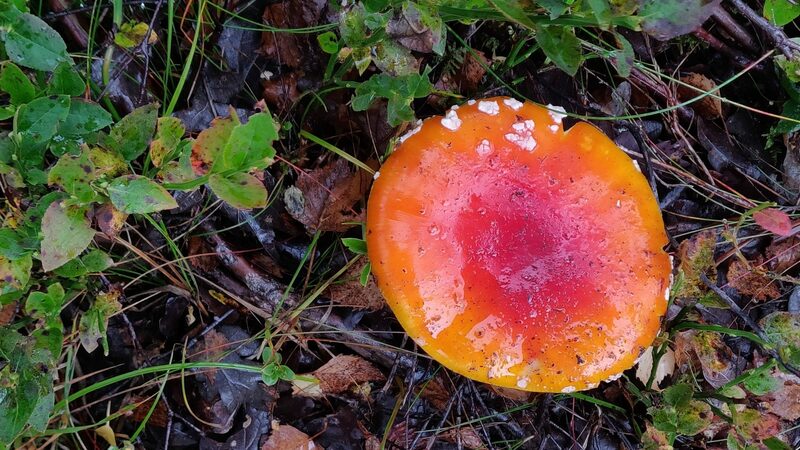 A big part of my pilgrimage is learning to see what is there. Others tell me that eagles and black grouse are ‘everywhere’. Indeed they may be, but I didn’t know where or how to look. Thanks to Duncan, this day, for the first time, I have seen black grouse lek and ravens kiss. And, there, at the top of Glen Feshie, high above the snowy crags, a great bird appears. Its wings beat, beat and glide; beat, beat and glide. Another soars in to meet it. And then a third. Even from this distance, I can see they are vast and powerful and how they catch the sun on their feathers. And I can hear my guide name them: golden eagles. At last; I’ve seen them. And I am not alone. 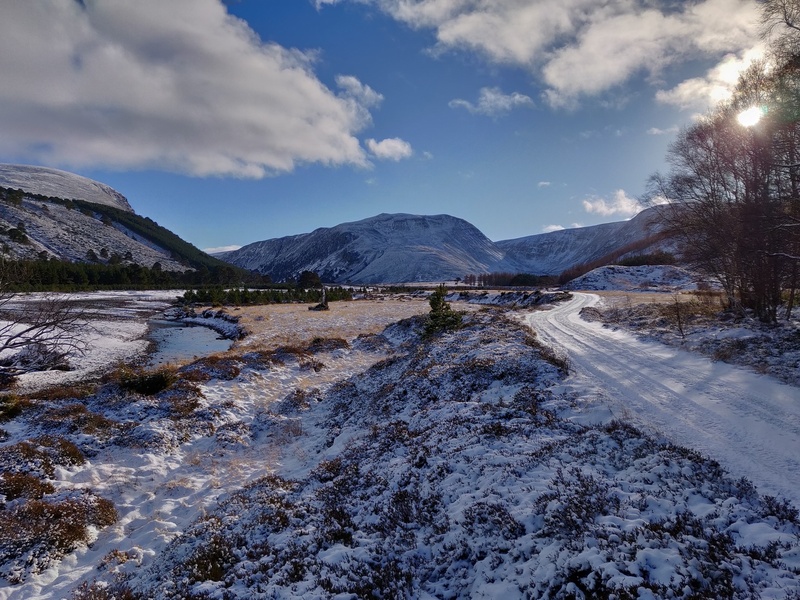 Non-motorised access to Glen Feshie is open to all. Our thanks to the Estate for vehicle permission.